One of the top brands of air purifiers for the last decade has been the Ionic Pro. It’s a brand owned by Envion, which wants you to create a pure home so that you have a healthy home. Their air purifiers are designed to help reduce allergens that might be lurking in each room with a stylish and sleek design that won’t give you a huge power bill at the end of the month. Are you ready to find the best Ionic Pro for your needs today? Envion offers a handful of different models that all offer certain strengths. Matching up your needs to the strengths of a particular Ionic Pro model will give you a greater chance of experiencing the relief you want. The chart below will help you begin the shopping process for this brand. The primary reason customers have made the Ionic Pro line of air purifiers one of the most popular brands for over a decade is because of how quiet their equipment operated. You can literally rid your home or office of allergens and not need to give up your peace and quiet to do so. Envion also mentions that their award-winning designs and cutting-edge technologies can help to put their air purifiers into the driver’s seat. All Ionic Pro air purifiers have a one-year limited warranty from defects in materials and workmanship for one full year after the purchase date. The warranty is only valid for home use. You can register your air purifier for the warranty online, even if you’ve purchased your model online. There is also the advantage of not having filters that need to be replaced. Is an Ionic Air Purifier the Right Choice for Me? Does this mean the Ionic Pro brand of air purifiers has no benefit? Of course not. It simply means that it is not suitable for certain homes. Running six air purifiers like this may be overkill for your needs. Having one in your bedroom, however, could help to improve your indoor air quality in a quiet, effective way. This is why it is so important to match up your needs to the strengths that this brand has to offer. What Are the Prices of the Ionic Pro? Several Ionic Pro models from Envion are priced below $100. There are several options available that offer multiple fan settings and other upper-level features that still fit into this affordable price point. The most expensive Ionic Pro you’ll find available today is priced at $200. Many households will find a model priced at $135 or less has the capabilities required to meet their needs. This tower-style air purifier is a great option for homes that have large rooms which need a little help. The heart of this design is the germicidal chamber, which helps to extract harmful elements from the air as it pushes through an oxygen filter. It does a pretty good job of trapping smoke, pollen, dust, and odors as well. Some users may wish to note that the product does say that it turns smog into ozone, so it may not be suitable for every home. We found this model works pretty effectively in rooms of 300 square feet or less. This electrical air purifier does a great job of reducing allergens that might be lurking in small- to medium-sized rooms. It works by creating positively charged particles in the air around the unit, which are then attracted to the negative collection plates within the unit. This allows the air purifier to work quietly, so you won’t even hear it working while you get a good night of rest. It’s rated for rooms up to 500 square feet in size, but we saw the best results come in rooms about 250 square feet instead. Give it a try and we think you’ll be pleased. If you’re looking for a model that will purify and ionize the air in smaller spaces, like at the office, in an RV, or maybe a closet, then this is the compact model you’re going to want to have. Collection rods help to trap the impurities that are in your air, so you won’t have to worry about replacing the filters or changing components. Just periodically clean the unit from time to time according to the manufacturer’s instructions. One-touch operation, with high and low settings, allows you to have the easy and energy efficient solution you may need today for cleaner air. This air purifier is designed to remove the bacteria and germs that might be floating in your air right now. It’s small enough to sit on a table, but large enough to work in most smaller rooms you’ll find in the average home. It uses UV-C technologies to attack the DNA of the potentially harmful microorganisms that might be floating in the air, allowing you to make sure healthier air is what you’re breathing. It weighs 7 pounds, is made in China, but is built to the electrical standards that are in North American code. This is a great little air purifier if you have needs that would be described as “portable.” Just plug this miniature air purifier into any standard outlet and you’ll be able to start neutralizing the smoke or other unpleasant odors that might be in there. It also doubles as a nightlight, so kids love having it in their rooms. It is designed to fit into small spaces, so it’s perfect for closets or bathrooms as well. With the right power conversion device, it also makes a great addition to the car. If you want an affordable way to include this brand into your home, this might be the best air purifier for you. This is a desktop air purifier that gives you a lot of options for a very reasonable price. You won’t hear it running, but you’ll certainly notice the fast reduction in allergens and odors. It uses a 5 step process that involves positive ions and negative collection plates so that you can cycle the air repeatedly to get the results you need. You can even throw the pre-filter into the dishwasher to clean it once per month if you wish. It’s rated to work in rooms of up to 900 square feet in size, though best results were found in rooms of about 300 square feet during our testing process. This is the Ionic Pro air purifier you’ll want to look at if there is a cigarette smoke issue in your home. You’ll find that many homes and apartments have a lingering smoke odor, even if you’re a non-smoker, from previous tenants and it can be very expensive to get that odor out when you hire a professional. 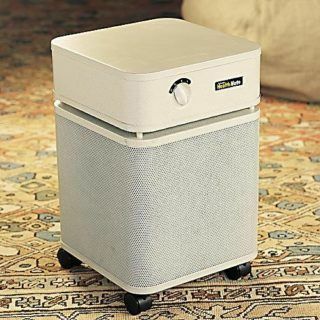 This two-speed air purifier gives you a CADR of 200 for smoke, with an effective room size of 250 square feet, so you can move from room to room to clear out that lingering odor. Considering the price, if you have a chronic odor issue, you can’t really go wrong giving this unit a try today. This is the go-to air purifier in the Ionic Pro brand. It offers you totally silent air purification without filters to replace. It does a reasonably good job of removing allergens and other irritants from the air, but it’s usually the larger particles that get removed and it typically works best in smaller rooms. It’s important to remember that this is an ionizer, so it may not be suitable for every home, but there are no fans or moving parts to worry about and that is a definite advantage. This is another turbo-mode air purifier offered by the Ionic Pro brand, presented by Envion. It’s an energy efficient model as well, using less juice than a compact fluorescent light bulb. 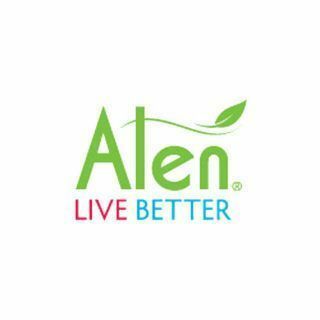 This gives you a very affordable method of reducing the particulate contaminants that are in the air in your home right now. Because there aren’t moving parts with this unit, it operates very silently by attracting positive ions to the collection plates within the unit. It’s a larger model than some others in this line as well, which may make it more effective for your home. This was our favorite model to try out of them all and we think you’ll like this one too. Why should your home get all of the air quality improvements? Many people spend just as much time in their vehicles as they do in their home. We sure do anyway. This little car ionizer plugs right into your 12v outlet and swivels around 360 degrees so you can get the right positioning for the output. There aren’t any filters to replace or other maintenance chores you need to do. Just start your car and get cleaner air. You deserve to breathe clean air every day. The best Ionic Air purifier reviews will allow you to find the right model for your home, office, or vehicle that will help you do just that.